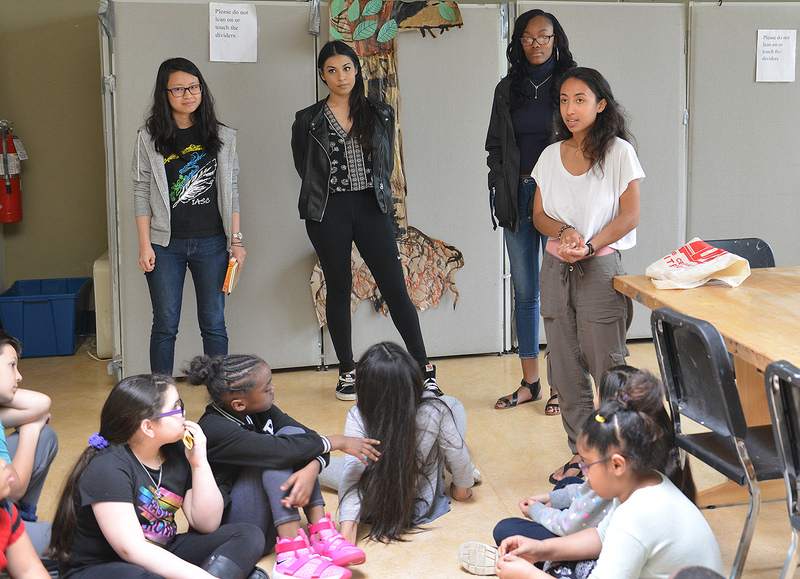 From left, Yuhsuan Liu ’20, Aysha Khan ’19, Jada Jenkins ’20 and Mya Valentin ’19 speak to Green Street Teaching and Learning students about being the first in their family to attend college. 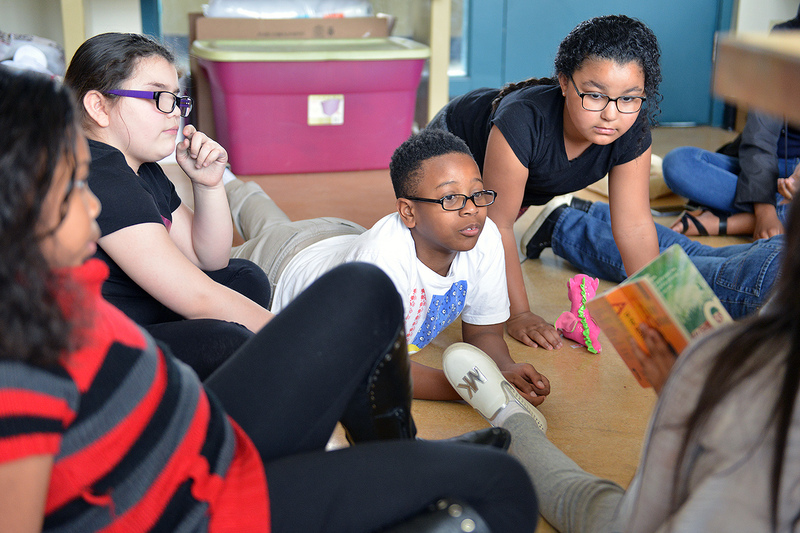 Four Wesleyan students participated in a literacy program March 24 at the Green Street Teaching and Learning Center. 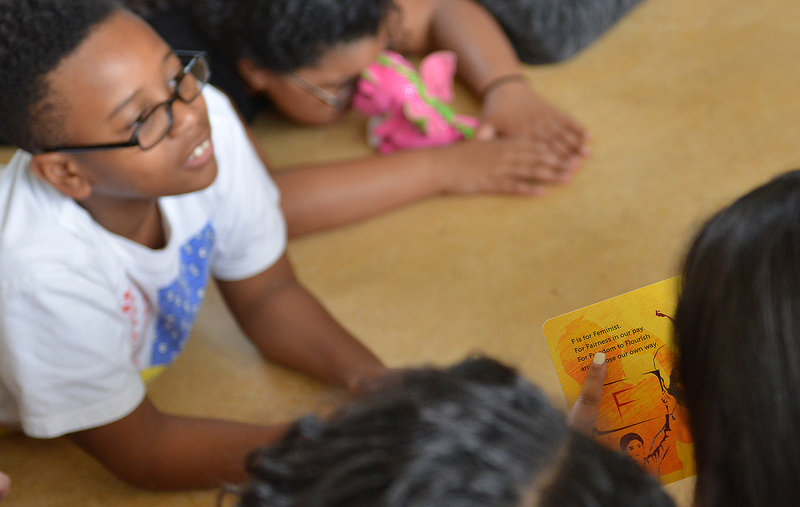 The students, who are members of Wesleyan’s QuestBridge/First Class organization, read social justice-themed books to the Green Street students and spoke about being a first-generation college student. QuestBridge/First Class provides support to low-income and/or first-generation students on campus. 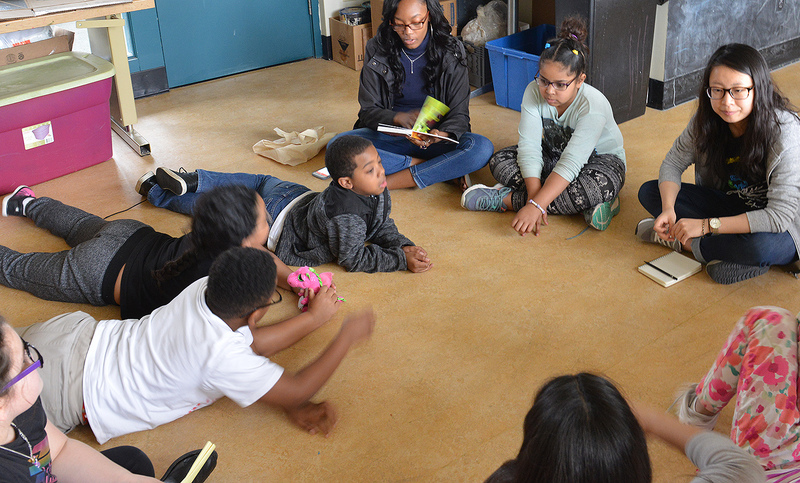 The student volunteers included Yuhsuan Liu ’20, Aysha Khan ’19, Jada Jenkins ’20, and Mya Valentin ’19. 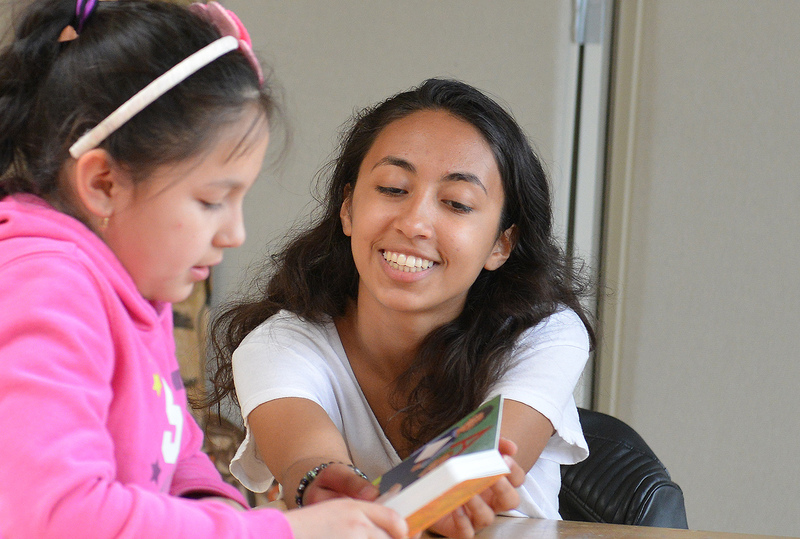 The literacy program was organized by Belen Rodriguez ’19 and Emma Llano ’19. the books A is for Activist and Dolores Huerta: A Hero to Migrant Workers. As members of QuestBridge/First Class, the Wesleyan students address their experiences on campus and provide programming with necessary resources to help students with difficult backgrounds succeed in their time at Wesleyan and beyond. In addition, QuestBridge/First Class also encourages increased campus dialogue about low-income experiences and first-generation experiences First Class and QuestBridge work in tandem with each other and share similar missions and goals in terms of creating a larger, more accessible community for students from disadvantaged backgrounds to find a support network and learn about resources.